Bio: Genevieve Clay-Smith is an award winning writer and director. She is the co-founder and CEO of Bus Stop Films and the co-founder and creative director of Taste Creative. For the last decade, Genevieve has been an advocate for inclusion and diversity in film and television and has been a global pioneer of inclusive filmmaking, presenting on the subject around the world including at TIFF, the BBC, Disney HQ, Scottish Mental Health and Arts Film Festival and EOP! in Belgium. Her work has screened at the UN and in over 200 film festivals world-wide, winning awards at Oscar qualifiers such as Cleveland International, Short Shorts Japan and Rhode Island International. Under her leadership in 2016, Bus Stop Films won the Community Organisation Human Rights award presented by the Human Rights Commission. Other accolades include being named the 2015 NSW Young Australian of the Year and the 2014 Young Leader of the year in the 100 Women of Influence Awards. Bio: There comes a time in everyman’s life when he realizes he isn’t going to make any money being a rockstar, skateboarding is hard and basketballers need to be insanely fit. So with rockstar, proskateboarder and probasketball player crossed off his list, Ryan could focus his attentionon another passion and has been creating moving images ever since. With a talent to habitually go over the top when coming up with concepts, Ryan’s passion is in story telling and taking the viewer on a journey. Ryan is the creator and part owner of ‘Robot Army Productions’, and the driving force behind the independent webseries ‘Rostered On’ with millions of viewers worldwide. Bio: Alyssa McClelland is an award-winning director and writer. She is signed with the production company FINCH in Australia and New Zealand and has directed campaigns for a host of major brands such as Google, Apple, Air New Zealand, Samsung, Netflix and Vodafone. Her advertising work has won numerous awards, including the coveted Black Pencil at the D&AD Awards and the award for Best Direction at the London International Awards. Alyssa also won the InStyle Magazine Woman Of Style Award scholarship for her work as a filmmaker. Alyssa directed, wrote and starred in the two seasons of cult-hit web series ‘One Step Closer To Home’, which won a bunch of awards and notched up a large following on acclaimed website Funny or Die. Her short film ‘Nic and Shauna’ was a finalist in Tropfest, the largest short film festival in the world. Alyssa’s latest short film, ‘Second Best’ has had great success on the international film festival circuit, winning many awards including the Dendy Award for Best Live Action Short Film at the 2018 Sydney Film Festival, as well as the award for Best Direction in an Australian Short Film at Flickerfest International Short Film Festival 2018 and the Best Short Film award at the Milano Film Festival 2018. Bio: Lost Property Office is written, directed and designed by cardboard sculptor Daniel Agdag. Each set and prop has been meticulously crafted by Daniel in a process he describes as ‘sketching with cardboard’, as he makes no detailed plans or drawings of the pieces he creates. His work has been described as architectural in form, whimsical in nature and inconceivably intricate. More examples of his work and information can be found at: http://publicoffice.com.au/ In addition to exhibiting his work in Australia and overseas, Daniel is a filmmaker. He is a graduate of the VCA and has made several short films. He won the Dendy Award for “Most Innovative Short Film” at the Sydney Film Festival for his 6 minute animated short Paper City Architects. The film was also nominated for an AFI Award for “Best Short Animation”. Bio: TJ is an actor, writer & musician from Sydney, Australia. Having graduated from the prestigious acting course at WAAPA in 2008, he has starred alongside Julia Roberts & Javier Bardem in Eat Pray Love & with Deborah Mailman & Chris O’Dowd in the hit film The Sapphires. He received an AACTA nomination for his performance in Josh Lawson’s comedy, The Little Death, & has most recently starred in the Channel Ten/Netflix hit series, Offspring & guest starred in TNT’s, Major Crimes. He discovered his passion for working on both sides of the camera by accident when backstage during a theatre performance he made two improvised mockumentaries of an actor preparing for his role. (One of these was subsequently posted for publicity purposes on the theatre company’s social media sites!) TJ was a finalist of the AIF Heath Ledger Scholarship in 2011 & 2015 & has spent the last 3 years living & working in Los Angeles, California. Upcoming projects include feature films Otherlife (Ben C. Lucas) with Jess De Gouw and Halfway (Ben Caird) with Quinton Aaron. Your Call is Important to Us is TJ’s directorial debut. Bio: A graduate of Australia’s national film school (AFTRS), Noakes’ innovative and subversive voice has won him numerous awards and catapulted him into the international scene with early representation from PrettyBird (US & UK), Partizan (France), Stink (Germany) and Scoundrel (Australia &New Zealand). From his award winning short films “Julian” (2007), "Mongrel’s Creed” (2010) and “Nursery Rhymes” (2017) to television commercials for Hornbach, Australia Day Lamb, and the notorious Doritos ‘Finger Cleaner,’ Noakes’ creations have screened around the world, earned him a Gold Ciclope award for best direction, a Gold Clio, Gold Epica, DWA (Deutsche Werbefilmakademie) for best direction, features on USA Today, Nowness, Staff Picks, Video Of The Week, the Wall Street Journal, AdWeek, Vice, millions of Youtube views and (his personal favourite) the front page of Reddit. In 2017, Noakes launched original screen content production company Studio Goono (goono.tv) with long time collaborators Lucy Gaffy and Will Goodfellow. Bio: Tavis Urquhart is a Melbourne-based screenwriter. After graduating with a Bachelor of Film and Television from Swinburne University, Tavis moved to the Victorian College of the Arts where he undertook a Masters of Screenwriting. In completion, Tavis graduated with First Class Honours and runner-up in the Best Screenplay Award. Since then Tavis has focused on building a slate of television and film spec-scripts of varying genres, from horror/comedy to science-fiction as well as drama. Tavis values stories that reflect the social landscape; parables that explore issues currently rattling the zeitgeist. Tavis’ career goal is to continue to build his own work as well as formulate strong professional relationships with producers and other writers. Bio: Simon Direen is a filmmaker and youth worker based in Melbourne. During Simon’s time as a filmmaker he has won over 10 awards for Directing, Editing and Producing. In 2017 Simon completed two nonfiction short films Voices and A Life Together. Voices was the result of receiving the Port Phillip Cultural Development Fund grant and A Life Together premiered at Melbourne International Film Festival in August 2017. In May of 2018 Simon won the OSCAR™ recognised award best documentary at the St Kilda Film Festival A Life Together and Best Editor at the same festival. A Life Together also won best short documentary at Noosa International Film Festival in 2017 and received a Grand REMI at WorldFest Houston in April 2018. Bio: Matt Jenkin is a Sydney based director of short films, short form series, music videos and TVCs. His short film "Cockatoo" received over a dozen awards including Best Screenplay at Flickerfest. Online, it was featured on Short of the Week and as a Vimeo Staff Pick. 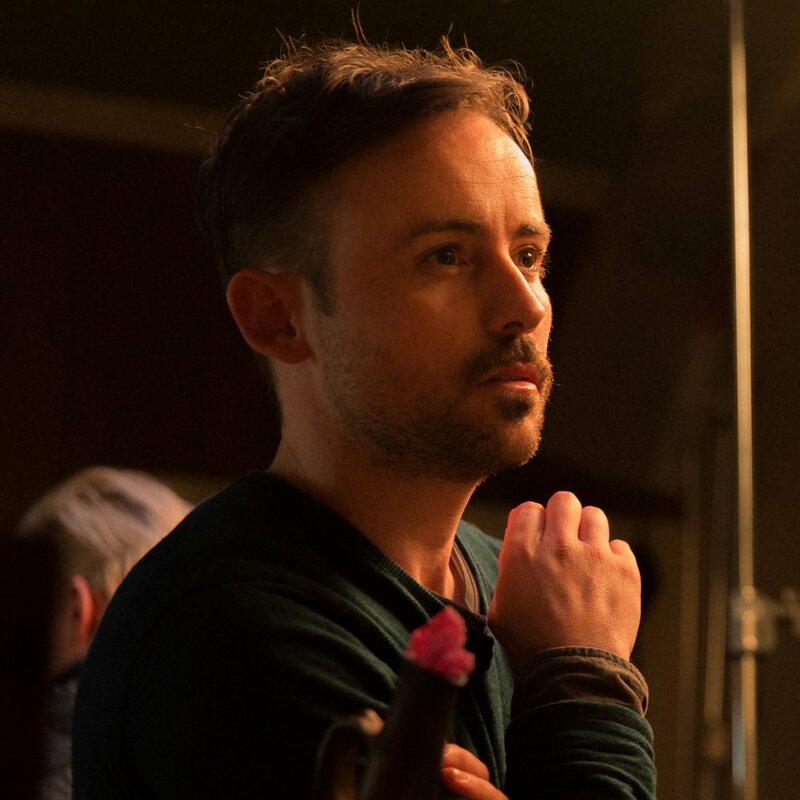 He works regularly with Matilda Brown as writer, director and script editor on her two series “Lessons From The Grave” (ABC1) and “Let’s Talk About” (Foxtel showcase). “Shot Clock” won Best Film, Best Director and Best Actor at the Peninsula Film Festival in 2018. He is currently developing a feature film called “Colin of Rockchester” with producer Yingna Lu, a comedy/drama TV series called "Reality Dreams” with Dragonet Films and a web series with fellow filmmaker Heath Davis. Bio: Alison James is an award winning director and writer from Perth, Western Australia. She is incredibly passionate about telling bold stories that explore what it means to be human – in whatever format that may take. Judas Collar is Alison’s most ambitious film to date, following up on two performance based dramatic shorts You Have Blue Eyes – which recently screened at an Australians in Film showcase in Los Angeles and Sentence which she filmed in West Australia’s only juvenile prison. Over the past two years Alison has transitioned from factual into scripted after exploring complex ideas and characters in television documentaries over the last decade. She has directed on fifty hours of factual television, working for national and international broadcasters Discovery, National Geographic, ABC, SBS, ITV, BBC, PBS, S4C, 7mate, Sky TV, TV NZ, Arte and The History Channel. Working across a variety of documentary formats, Alison has gained privileged access into unique subcultures and nurtured a passion for human complexities without judgment. Highlights include spending countless hours with Indigenous Elders, oil and gas workers, multi-millionaire entrepreneurs, people with intellectual disabilities, Nobel winning scientists, migrants, refugees, prisoners and survivors of terrorism and war. Most recently Alison was Series Director for the eight-part Railroad Australia (Discovery) following the men and women who run Australia’s vast rail network. Prior to that she was a director on twenty-four episodes of the popular Outback Truckers (Discovery) filming in some of Australia’s most inhospitable and remote areas with some of Australia’s toughest truck drivers. Alison was field director for the critically acclaimed The DreamHouse (ABC) following three young housemates living with intellectual disabilities. She also co-series directed BoomTown (ABC), examining a year in the lives of seven high-profile multi-millionaire entrepreneurs in Perth. Alison’s series directing debut was the heart-warming Harvest (SBS), tracking the evolution of a community garden at the notorious ‘Suicide Towers’ in Perth. 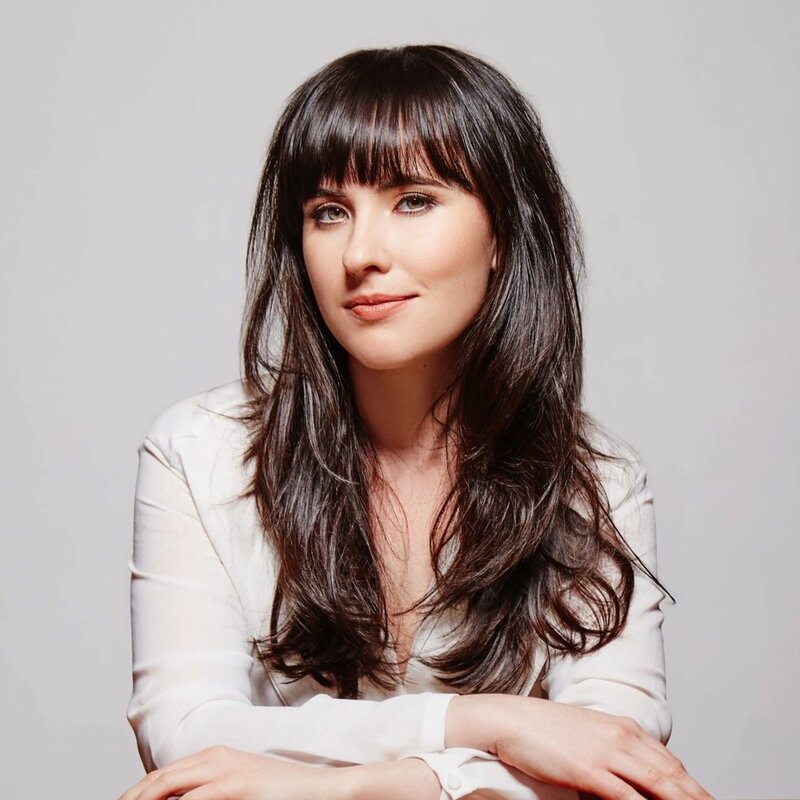 Alison studied filmmaking and psychology at Curtin University and is a recipient of the prestigious West Australian Young Filmmaker of the Year. She has filmed in remote and regional Australia, China, Honduras, Germany, England, Ireland, Iceland and the USA. Bio: John Sheedy is a multi-award winning Australian Theatre Director whose work has been staged extensively throughout Australia. In 1998, John completed his Bachelor of Dramatic Art at the National Drama School in Melbourne before completing his Masters of Fine Arts (Directing) at the National Institute of Dramatic Arts in 2002. In August 2010 John became the Artistic Director at Barking Gecko Theatre Company, delivering his final season for the company in 2015. Throughout his career, John has directed productions for Belvoir Street, Bell Shakespeare, Parramatta Riverside, Black Swan State Theatre Company, Sydney Opera House, Sydney Theatre Company, Griffin and Opera Australia. John’s work has been recognized with multiple nominations for Helpmann and Sydney Theatre Awards. Some examples of his work include the adaptation of Shaun Tan’s children’s book The Red Tree that premiered in 2011 and produced again for the 2012 Perth International Arts Festival. Also produced for the 2012 Perth International Arts Festival was Susie Miller’s Driving Into Walls. In 2013 John directed Hamlet, Storm Boy and adapted and directed Wolf Erlbruch’s children’s book Duck, Death and The Tulip for the Perth International Arts Festival. Storm Boy, a co-production with the Sydney Theatre Company, was nominated for Best Presentation for Children at the 2013 Helpmann Awards and Sydney Theatre Awards. In 2014 John directed Onefivezeroseven, the sequel to Driving Into Walls as part of the Perth International Arts Festival. His adaptation of Craig Silvey’s best-selling novel Jasper Jones also premiered in August 2014 to a sellout season and great critical acclaim. In 2015, John adapted and directed The Rabbits from the novel by John Marsden and Shaun Tan, presented at the 2015 Perth International Arts Festival and 2015 Melbourne Festival. The Rabbits was the winner of four 2015 Helpmann Awards – Best Presentation for Children, Best Original Score, Best Costume Design and Best New Australian Work. John is the current CEO and Creative Director of Theatre Works, a hub for independent theatre in the heart of St Kilda, Melbourne. Mrs McCutcheon is his debut in film.